Retention is a perennial problem in the restaurant industry. According to People Report by TDn2K, indices for recruiting and retention rose in the fourth quarter of 2016, signifying difficulty for operators in attracting and keeping the best talent. 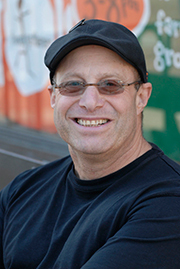 But Zingerman’s Deli is finding that an open-book management style that engages all workers is not only good for business, it’s also effective in boosting employee retention. Zingerman’s, in Ann Arbor, Mich., which celebrates its 35th anniversary in March, is known for corned beef, kugel and brisket. But the deli is just one facet of a growing, $65 million collection of 10 businesses structured around an open-book management philosophy that taps the talents of the group’s roughly 700 employees. Paul Saginaw and partner Ari Weinzweig opened Zingerman’s in 1982. Zingerman’s brand now includes a bakery, a creamery, a coffee company, a roadhouse, a farm and, most recently, a Korean restaurant — all developed from within by employees. At the core is a holding company that owns varying shares of the individual businesses, from about a 10 percent stake to 82 percent, Saginaw said. That separate limited liability company owns the brand and its intellectual property. Saginaw credits an open-book management structure, higher wages and the company’s emphasis on transparency for its success. “We believe we have been successful because we’ve chosen a strategy that seeks to develop the human potential around us,” he said. Workers are brought together for weekly “huddles” in which they all see a white board with profit-and-loss statements. Each line item, from food costs to inventory, has an “owner,” he said. It’s also proving good for business. At the deli alone, labor costs have declined from nearly 16 percent in 2011 to nearly 15 percent in 2016. Employee turnover dropped from 65 percent to 48 percent during that time. Employees also have the opportunity to buy shares in the business. Workers within each division who have been with the community for at least two years are allowed to buy in to the holding company for $1,000 per share, which they can pay for with a payroll deduction over two years. When they leave the company, they get their initial $1,000 back, plus any distributions that have resulted. Saginaw said about 240 employees are participating so far. Half of the money invested by employees goes to supporting the growth of new businesses within the community. Saginaw is also a believer in paying higher wages. The starting salary within the group is $11 per hour, well above Michigan’s minimum wage of $8.90 per hour, with a clear path for salary growth from there, he said.